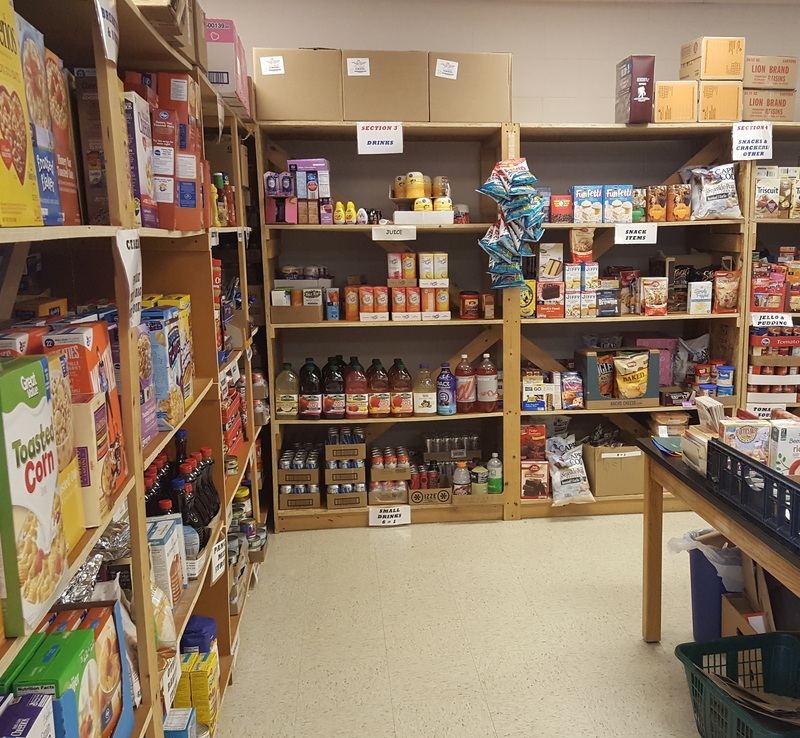 Shepherd’s Gate Pantry is a volunteer basic needs outreach ministry of St. Maria Goretti Catholic Church, whose work is done in conjunction with the HELP Committee of our parish. Those in need right here in Hamilton County utilize Shepherd’s Gate Pantry. To use our services, clients must show proof of residency in Hamilton County. These clients may come to the pantry once a month. Some baby items are available through the pantry. Cribs and mattresses are given out by referral from several Hamilton County agencies, including: Good Samaritan, Birthright, Healthy Families, and County Trustees. Baby clothing up to size 2T, baby food and formula, high chairs, and strollers are sometimes available. We are one of few area pantries that supply these items. DONATIONS – HOW CAN I HELP? Donations are needed throughout the year, including the specific item of the month (highlighted in the bulletins). 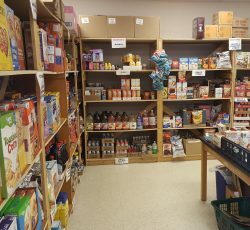 The pantry is always in need of the following nonperishable items in nonbreakable packaging: cereal, pancake mix and syrup, fruit juice or drink mix, snack items (granola bars, cookies, brownie mix, crackers), soup, canned fruit and vegetables, pasta and pasta sauce, canned chicken & tuna, boxed dinners (such as Hamburger, Tuna & Chicken Helper), boxed potatoes, macaroni & cheese, toothpaste, deodorant, shampoo, dish soap, laundry detergent, toilet paper, and any size diapers! All of this is accomplished through parishioners’ donations to the monthly HELP collection, our monthly food drive, brown bag Sundays, food drives by various groups within and outside our parish, and donations from individuals and corporations. Food items are also obtained from Gleaners Food Bank. More than 125+ parish volunteers and their families donate their time and talents to this very important ministry. Our hours are 3:30 to 5:00pm Monday and Thursday, and 9:30 to 11:00am on Saturday. If you are interested in becoming a volunteer, please complete the form below, and we will contact you directly you may also call 867-3213, ext. 1227, and leave a message or email us at smgpantry@smgonline.org. A special request goes out to any parishioner or family with Spanish language skills who would be who would be able to offer some time!